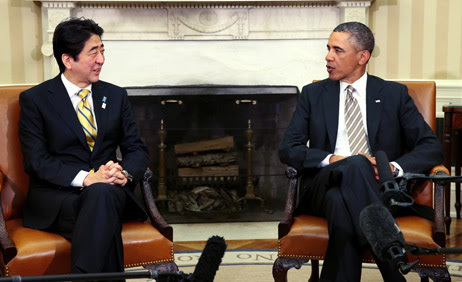 U.S. President Barack Obama and Japanese Prime Minister Shinzo Abe have discussed by phone North Korea’s menacing. Feb. 6launch of a ballistic missile and called for a strong international response to what the White House called a “destabilizing provocation.’’ But perhaps more importantly, Mr. Obama emphasized America’s “ironclad’’ commitment to Japanese security and promised to take all necessary steps to defend Japan and its other allies in the region. The launch distressed many around the world in part because it showed North Korea’s increasing technological capability, including in cyber-related matters. The U.S., South Korea and Japan have been urgently discussing tougher sanctions on the North Korean police state – a topic bound to come up at the G7 Summit in May. Japan and the U.S., of course, are both members of the G7.